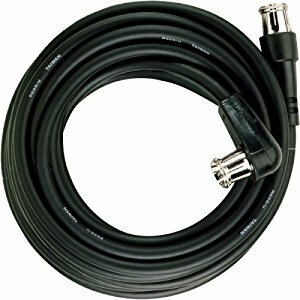 Can you use cables with push-on connectors for satellite TV? If you have some of these cables left over from your VCR-loving days… please responsibly recycle them or use them for your antenna. Don’t use them for satellite TV, because they won’t work reliably. Most cables with push-on connectors only conform to the RG-59 cable standard and that means they won’t have enough shielding to reliably transport satellite information. Remember that a satellite signal carries a lot more information than an antenna one — up to 100x as much depending on how you look at it — and so the cable requirements are a lot more strict. In order to carry so much information, the cable connection must be practically perfect. RG-59 cables just can’t guarantee that level of perfection. More importantly, the push-on connector itself is a problem. The little vertical slits that let it grip the connector securely can also let signal leak out and cause problems that way. There are push-on connectors designed for satellite, like those used on Sonora’s SWM-E2 device, but you’re not going to find them on a consumer-grade cables. If you want to be safe, if you want the best possible chance of a worry-free connection, you should be using RG6 cables with a solid copper core center conductor and satellite-rated compression cables. This isn’t just a way to make you spend more money, There is actually a difference with high-quality, satellite-rated cables. If you’re not watching DIRECTV in your hotel, why not? DIRECTV gives you even more 4K!